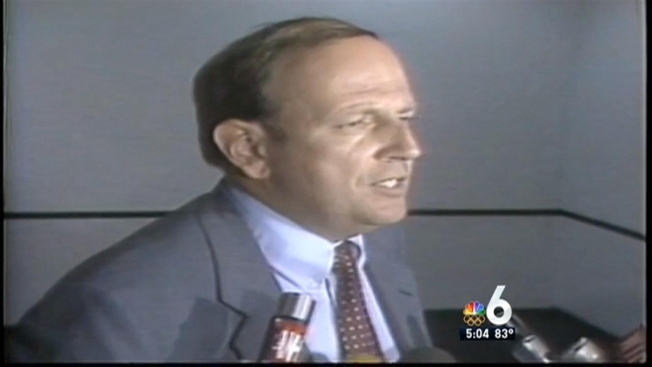 Nearly 30 years after he hijacked a Miami-bound plane and demanded to be flown to Cuba, William Potts voluntarily returned to South Florida Wednesday. Potts, 56, was taken into custody by FBI agents shortly after his charter flight arrived around noon at Miami International Airport. It wasn't immediately known when he would make his first court appearance. He had arrived at the U.S. Interests Section in Havana before dawn Wednesday to meet with American officials who escorted him on the charter flight to Miami. "I've got kind of mixed emotions, let me say that at least, about touching American soil for the first time in nearly 30 years," Potts said. "So much has changed, and I'm just going to have to wait and see what it looks like when I get there." Potts, a member of the Black Panthers, has been in Cuba since 1984, when he pulled a gun hidden in a plaster cast and commandeered Piedmont Flight 451 headed from New Jersey to Miami. He ordered it to the communist nation, where he expected authorities to offer him guerrilla training. Instead, he was convicted of air piracy and jailed for more than 13 years. Potts said he seeks "closure" by facing the U.S. justice system. He argues that the time he served in Cuba should mitigate further punishment back home, but admitted there's no guarantee. "My position is I am a free man. I have served my time," Potts said. "But they seem to have another concept. They are going to take control of me. I will be under their authority." He said he had high hopes for his return to the United States. "To go home to my family, to my daughters -- that's what I'm hoping," Potts said. His ex-wife shared similar hopes. "I hope the American authorities consider that he already served 15 years in prison in Cuba," said Aimee Quesada, his ex-wife. "It was a moment in his youth and he hurt no one. For the welfare of his daughters and his family, I hope he can resolve this problem soon." U.S. authorities have aggressively prosecuted some returning fugitives, while others saw their sentences reduced significantly for time served elsewhere. U.S. Interests Section, FBI and Cuban officials so far have declined to comment on Potts' case. After getting out of jail in Cuba, Potts set about making a new life in Cuba, where he has been granted permanent residency. He and Quesada live in a modest Soviet-style apartment block east of Havana. Even though Potts intends to continue to call Cuba home for the foreseeable future, he decided to return home and take his chances with the legal system. The pending U.S. case against him keeps him from living his life fully, he said. "It's time it had closure. Why leave it hanging, why leave this gaping uncertainty?" he said. "So I want to resolve that because ... having completed my sentence, I feel like I want to put all that stuff behind me. I don't want that lingering over or impeding anything I might want to do. Once you've paid your debt to society you're entitled to a fresh start."